As published in The Daily Telegraph on March 19, 2019. New South Wales relies heavily on sustainable, affordable supply of natural gas. Over 1.3 million homes in the state use gas for cooking and heating. Thousands of small businesses, from commercial laundries to bakeries, cannot open their doors without gas. And in the manufacturing sector, gas underpins around 250,000 jobs. You’d think the state’s politicians would spend some time trying to get their gas policies right. But instead they have ducked for cover, cowering from radio shock-jocks, the inner-urban elites, environmental activists and sea-changers and tree-changers on the northern coast. From Barry O’Farrell’s weak-kneed dithering as Premier to current Opposition Leader Michael Daley’s populist promise to kill off a much-needed multi-billion dollar gas project, NSW’s political leaders have failed to grasp the importance of gas supply to their constituents. The upstream industry on the east coast is now larger and more diverse than a decade ago – production has tripled in just five years. But NSW has played no role in that. The state’s only gas production – from AGL’s Camden project in western Sydney – is declining, and unless something changes NSW will soon be entirely dependent on gas imported from other states. The coal seam gas fields of Queensland have been saving NSW from gas shortages for several years. New Queensland supply has been critical as traditional gas sources in Bass Strait or South Australia’s Cooper Basin, that have supplied the east coast gas market for decades, have seen output diminish. With the connection of a new pipeline from Tennant Creek to Mt Isa, the state could soon be drawing gas supply form the Northern Territory. But gas doesn’t travel for free. The ACCC estimates that the cost of transporting gas from Queensland to southern states adds $2 to $4 a gigajoule to the wholesale gas price, which for new contracts currently sits around $8-11. That’s a 20% to 40% price premium – charged to homes and businesses – to cover the indulgence of leaving NSW and Victorian gas in the ground. 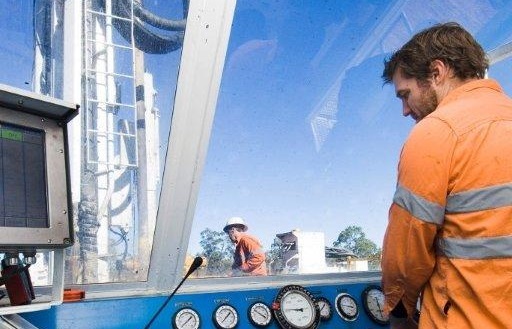 The situation is particularly stark in NSW, where one gas project – Santos’ proposed development in and near the Pilliga Scrub – could supply half the state’s gas needs. But that project has been delayed by a lack of political leadership and an uncertain regulatory framework. That situation got worse two weeks ago when Michael Daley announced a State Labor government would ignore the independent environmental approval process now underway and kill the Narrabri Gas Project. Never mind that an Australian company – one of our leading energy suppliers – has already invested near $3 billion to prepare and advance the project. Never mind that Santos has pledged to provide all of the gas produced in Narrabri to the domestic market. Never mind that similar coal seam gas projects in Queensland have boosted regional economies, enriched the farmers on whose land they have been developed and done so in a demonstrably environmentally safe manner, while creating hundreds of millions of dollars in ongoing revenue for that state’s budget. And never mind that repeated scientific inquiries have concluded that onshore gas development can occur without harm to the environment or our water. Of course, the environment and water resources must be protected, and NSW has very strong environmental regulation to ensure that gas resources can be developed safely and sustainably. The Narrabri Gas Project is currently being assessed by the NSW Department of Planning ahead of a decision by the Independent Planning Commission. But in what passes for the energy debate in NSW, Mr Daley has barely been challenged by his opponents for this reckless, reactionary stance. That’s in part because the Liberal Government’s tepid support for resource development has already killed off prospective gas projects in Gloucester and the Northern Rivers region. The Australian Workers’ Union’s National Secretary, Dan Walton, is to be commended here for rightly pointing out that the Opposition Leader’s call puts the voice of a few rowdy activists above the livelihoods the tens of thousands of NSW employees working in manufacturing, an industry reliant on stable supplies of natural gas. Quite simply if you kill gas, you kill manufacturing. It is critical that both sides of politics focus on interests of the vast majority of NSW residents, and address the urgent need to secure the gas supplies on which they all rely. We are facing the absurd situation that the states with the greatest need for gas are also the states which have killed local onshore development. New South Wales and Victoria have chosen to abdicate their responsibilities – they offer no solution to the mounting pressures on customers in their states. Both governments prefer to out-source their states’ gas needs to other states. Remember that when your next gas bill comes in. Former Federal Resources Minister Martin Ferguson is an adviser to the APPEA Board.